Today in The Lounge, Nick hits the trifecta at his third day at KBIS. 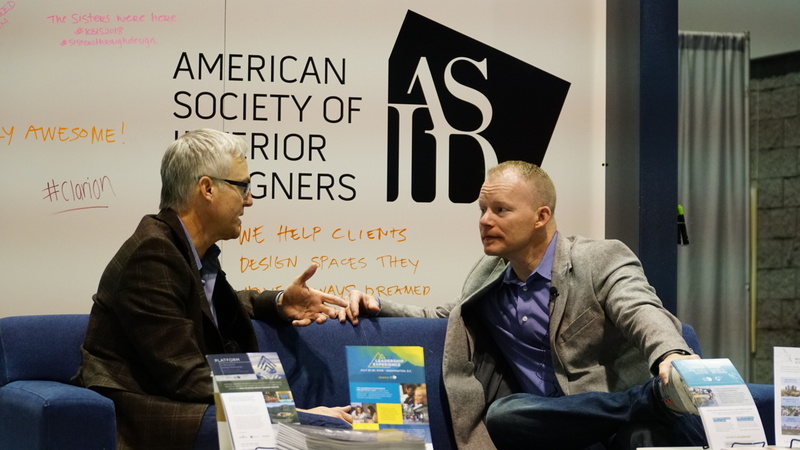 He gets to chat with Randy Fiser, CEO of ASID, about their partnership with products supporting wellness. 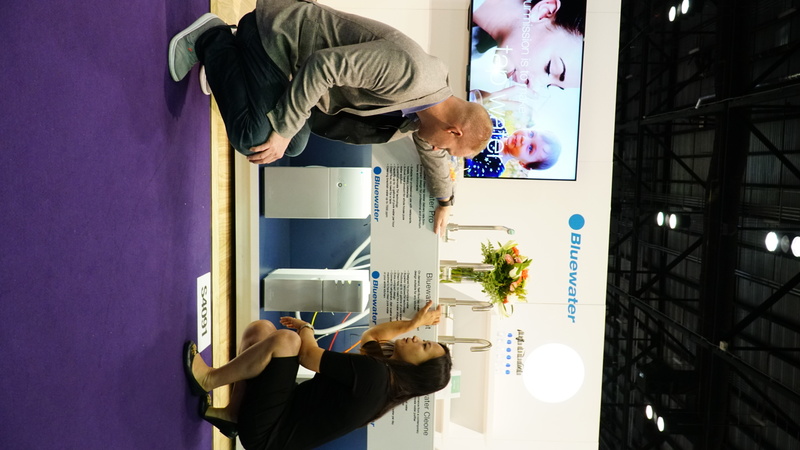 He then learns from Lin Guo of Bluewater Group about advanced water filtration systems for commercial and residential settings. 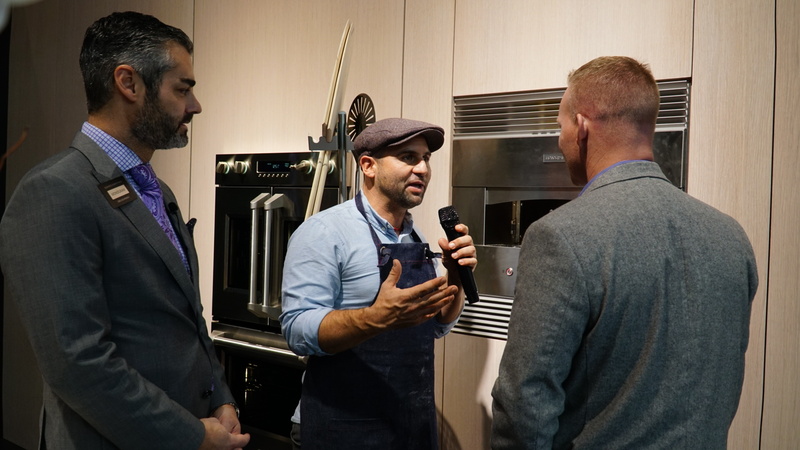 Nick then chats with both Greg Delmonico (Monogram Brand Merchandising Manager) and Chef Nick Liberato about Monogram products. Good thing Randy Fiser brought his sneakers for all the walking he did at the KBIS 2018 show! On the episode, Randy talks about how his goal was to link ASID and NKBA together to highlight a pavilion that showcases wellness in design based on ASID’s message, “Design Impacts Life.” ASID hosted about a dozen businesses at the show, which align with wellness components such as using nature in spaces, sustainability, using plant and water components in spaces, and the psychology of the human connection to the use of wood in design. 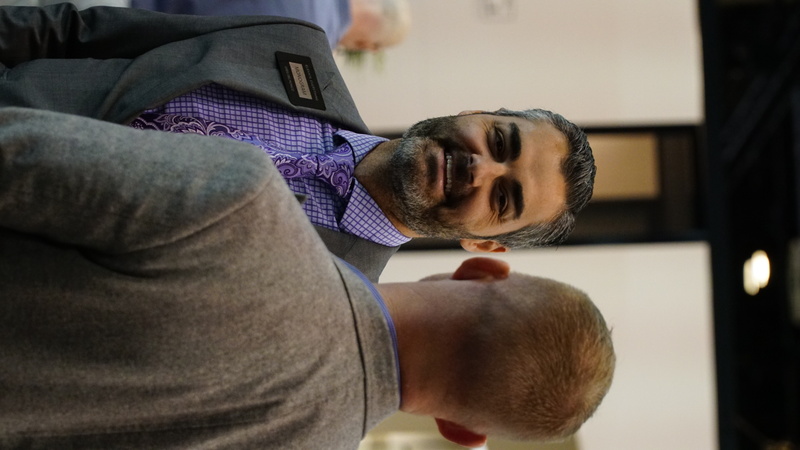 Randy talks about connecting products to the value they add to families and lifestyles and how this connection helps designers advertise their value in the marketplace. 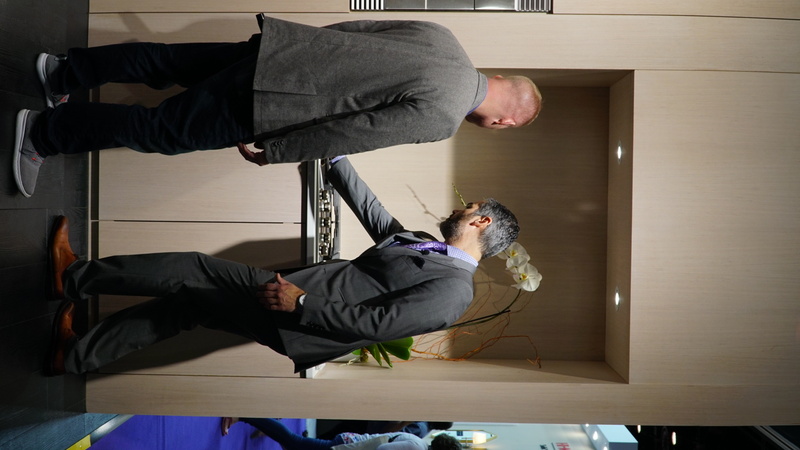 ASID wants to expand the showcase to include more products next year at the KBIS show in Las Vegas. Interested parties can contact Olga Odeide at ASID or Brian Pagel at KBIS and will go through a short screening process to ensure products are credible and meet wellness guidelines. Learn more about ASID at www.asid.org. *Stay tuned for future sessions of Chaise Lounge where we will have listeners submit questions for Randy to answer in upcoming podcasts. Submit questions on The Chaise Lounge website the bottom right-hand corner. Just mention that your question is for Randy! 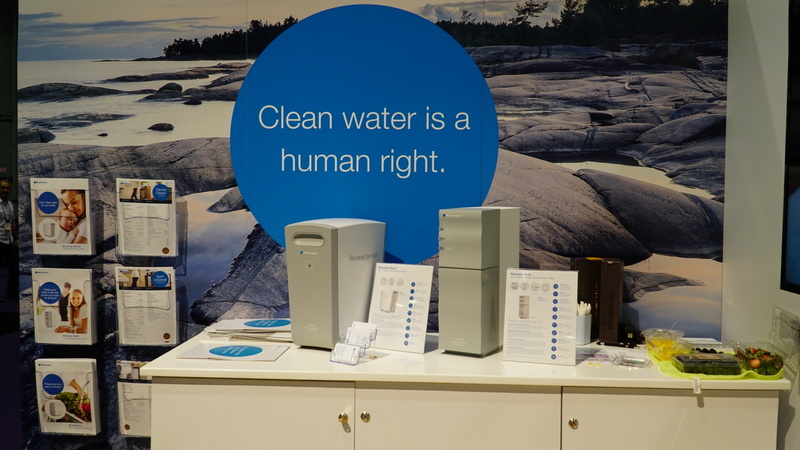 Lin has a huge passion for bringing clean and pure water to the world! She talks with Nick about the two main benefits of the Bluewater system: 1. helping families have better lives by giving them pure and clean drinking water and 2. helping rid the planet of plastic water bottles polluting the ocean. Lin says that every 1 minute, there are approximately 1 million plastic water bottles being dumped into the ocean. 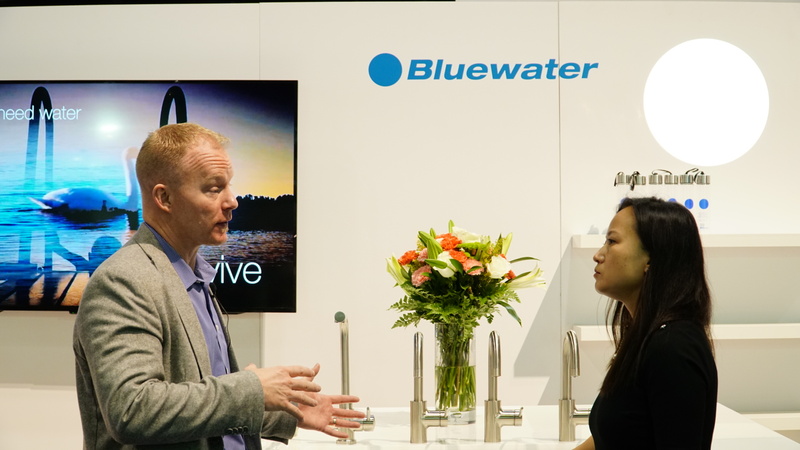 Bluewater is passionate about ending this cycle. 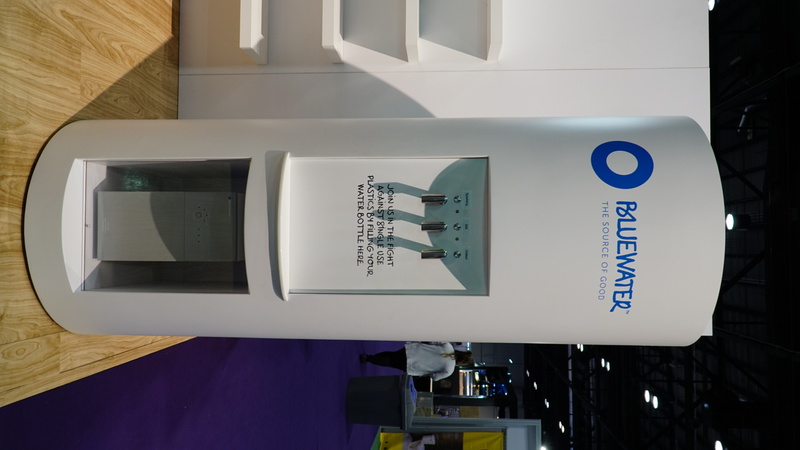 Their filtration systems can be used both residentially and commercially. Bluewater is so well regarded that they recently won an award and were recognized for using natural resources and helping the planet. They were also nominated for Best in Show at KBIS. Hear Lin’s enthusiastic message in the podcast and you’ll be hooked! Learn more about Bluewater Group at www.bluewatergroup.com. 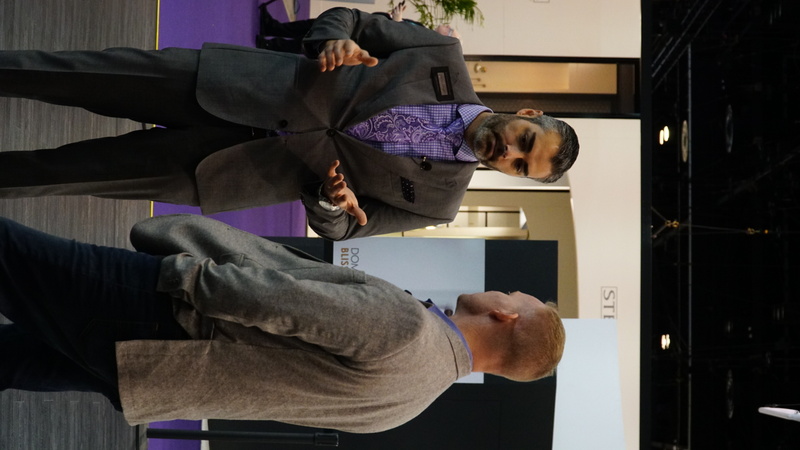 Greg talks to us about other Monogram products such as their new gas cooktop with knobs that are made of sapphire glass (the same glass used on Rolex watches). The knobs illuminate when a burner is on so you’re aware if the gas in on #purposefuldesign. If you forget to turn a burner off and have already left home, the app will send you a notification that you left a burner on and you can turn off the gas from your phone…yes, your phone! Other ultra-modern/unique components include a digital display with a built-in timer embedded into the cooktop. Both the cooktop and hood can connect via wifi to your Monogram Kitchen App as well as have Bluetooth capability to change the settings. Other technology can be found in the french door double door oven, with doors that open sideways easily with one hand. The Geneva Assistant can connect with Google Home and Amazon Alexa, whom you can ask to preheat your oven, such as to 400 degrees for Thanksgiving turkey! Geneva then gives you tips and tricks conversing with you on how to properly cook it! Monogram offers a customizable column refrigerator/freezer which allows the consumer to design where they want each component and can even have it match cabinetry. The system has backlit LED lights in the shelves and elegant styling and craftsmanship that Monogram is founded on.